What is the truth behind the Bigfoot legend? Does Bigfoot really exist? It seems a lot of people think so, and many have their own theories on what he is and where he comes from. 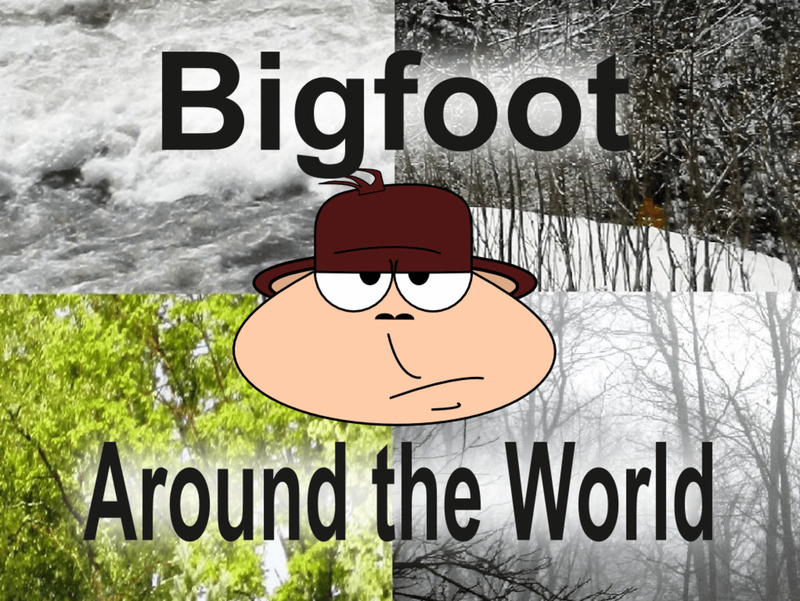 Hard-working Bigfoot research organizations are trekking through the woods of North America and the rest of the world as you read this, trying to get to the bottom of the mystery. As of yet the big guy hasn’t given up his secrets. Many experts believe Sasquatch is a species of undocumented ape. The most prevalent theory is that Bigfoot is a highly-evolved great ape of some sort, a species some researchers have referred to theoretically as the North American Ape. This certainly fits with the description of Sasquatch through the years. But where would such an ape have come from? Is the Sasquatch just another species of human that has chosen to avoid us? What if Bigfoot isn’t an ape at all? What if he’s more like us? 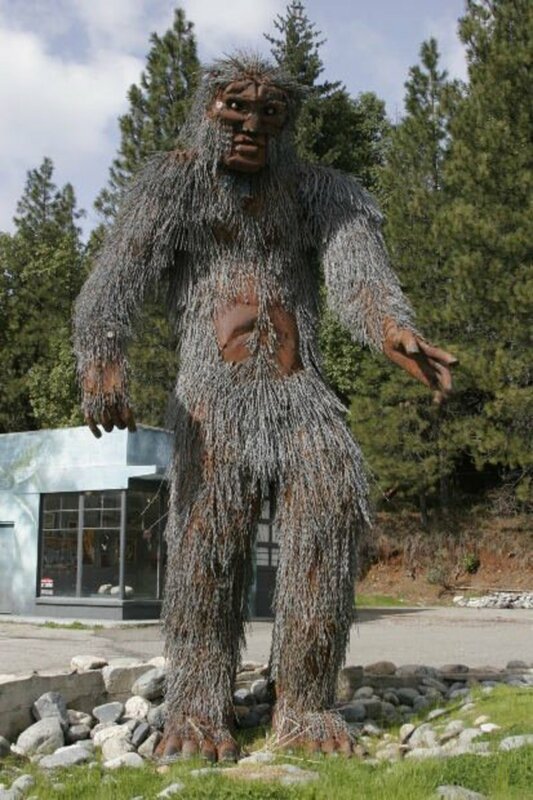 Many Bigfoot witnesses say the creature is very human-like, and in some Native and even early European-American cultures Sasquatch is referred to as a man, not an animal. This does make some sense on a few different levels. Homo Heidelbergensis is an extinct human ancestor that lived half a million years ago. Researchers originally believed they were a very robust species, standing seven feet tall with very heavy musculature. This would explain a few things, such the extremely high level of intelligence Bigfoot is said to possess for one. It would also explain how Sasquatch could survive in harsh climates by hunting. 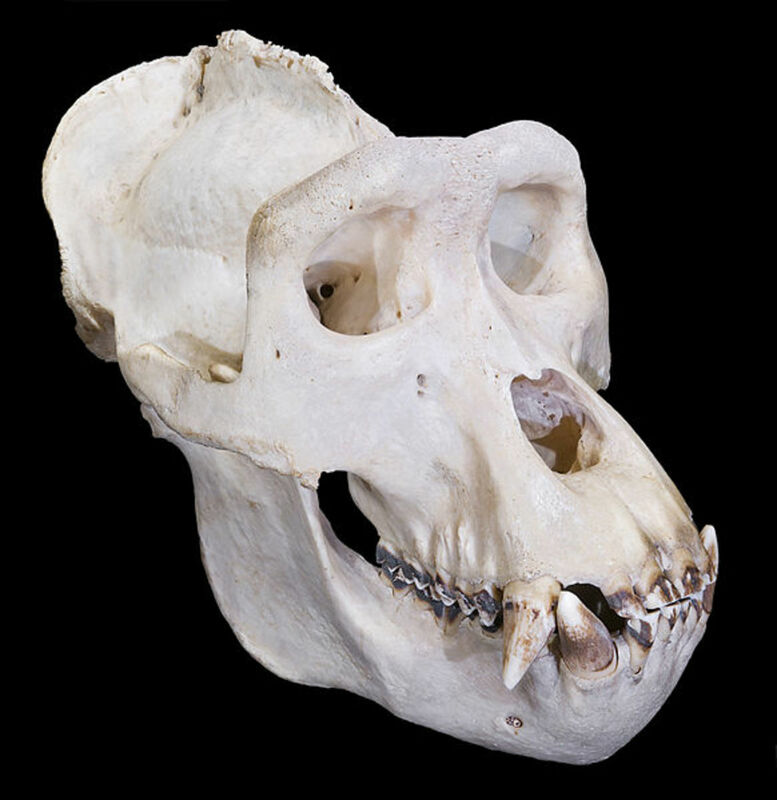 If H. Heidelbergensis learned to fear H. Sapiens it would make sense that it would try to hide from us at all costs. 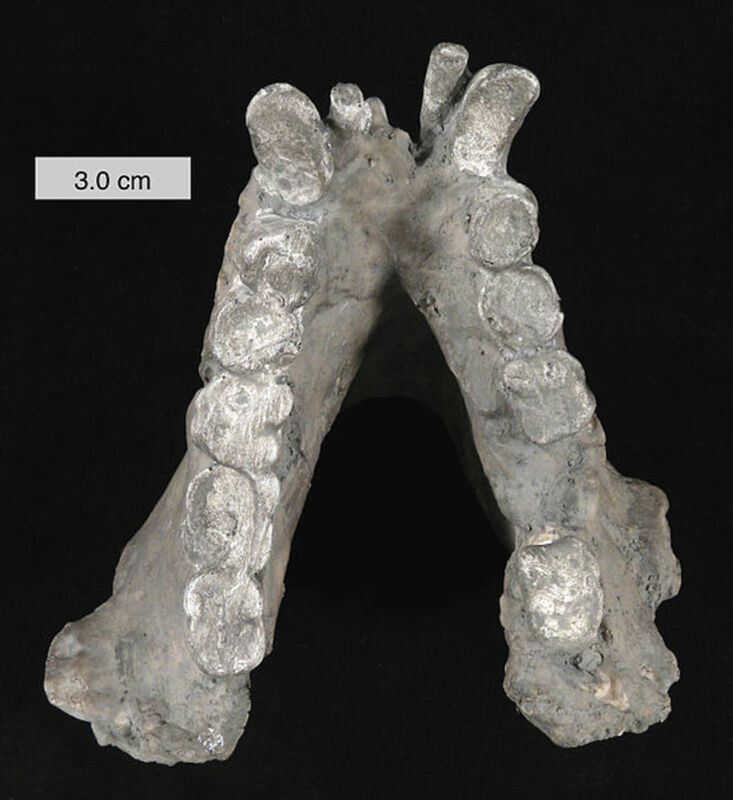 H. Heidelbergensis is also believed to have buried their dead, which may account for the lack of physical evidence. Does the spiritual realm explain Bigfoot better than the physical world? Is Sasquatch a Forest Spirit? What if this creature doesn’t exist in the natural world at all? Some believe alien visitors have deposited Sasquatch on our planet for reasons known only to them. Some people believe Bigfoot may be an alien species, dropped off here by visitors from another world for reasons known only to them. As odd as this sounds, there does seem to be a correlation between increases in Bigfoot sighting and increases in UFO activity. But what point could there be to this strange relationship between aliens and Bigfoot? Skeptics say the Bigfoot Myth is an important part of Native American religion that has carried on into the mainstream world. So far each of these Bigfoot theories is more bizarre than the one that came before, but here’s one even the most devout skeptic can get their brain around. What if Bigfoot only exists in our minds, as a sort of ancestral memory passed down over thousands and thousands of years? Of course this explains why nobody has found any evidence, but it does not account for why the legend is so ingrained in the cultures of North American, both ancient and present day. Wherever you stand with the Bigfoot mystery, you have to admit it’s an interesting puzzle. There must be something to the Sasquatch phenomenon, but getting all the pieces to fit together seems impossible at this time. Some kind of North American great ape. A species of primitive human. Has anyone heard of ultra terrestrials that live in the super spectrum. 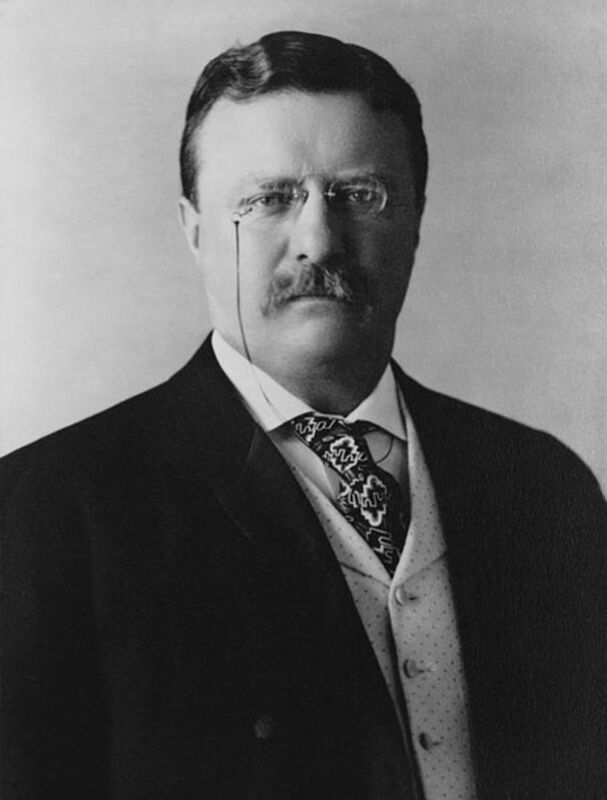 And he also theorized that there are certain paranormal hotspots or is he called them window areas where there’s a lot of sightings of a large variety of different types of paranormal phenomenon going on. Like Bigfoot for example, ghosts, different Cryptids, UFOs, balls of light/fireballs, shape shifters, Animals that are out of place in Earths timeline and geographically, portals, be able to see an event that happened in history for a moment, A long history of legends and stories about the area. I really like his theory because it explains why there’s not a lot of physical evidence it also describes why there’s a lot of UFO activity around Bigfoot and I don’t know it’s just a really interesting theory. 1/2 and 1/2 , abomination made . 100% dependent on the people that created them "however" long ago . ONLY reason they STAY and GO to where people are , when a 5 year old child can walk into the woods and NEVER see another person again EVER . these things NEED people to survive , period .abomination has no place in the food chain . especially groups of 5-10 of these things in a single location . grocery store isnt enough for that many animals in single location to eat more than day or two . I lived with Sasquatch around my remote cabin in the Adirondack Mountains of upstate New York for three years. While I may certainly be wrong, I am convinced of several things. They are no more an ape than we are. Nor are they creatures or monsters. They are an ancient race of people. They have a language, both written and spoken. I was able to translate about half of their glyphs from a Chinese symbol table. For whatever reason, they are very elusive. I never saw one there. My wife saw her buddy for only a few fleeting seconds. They are protective. Our Sasquatch chased off all predators to protect us and our pets. They are pranksters. They would knock on our cabin's walls and windows at night to see what we would do. You can tramp through the woods forever and never find Bigfoot. They find you. And finally, mindspeak (mental telepathy) is a real thing. Bigfoot has been around a long time. I am 76 years old and I remember Bigfoot in the Big forest in East Texas and Arkansas well over forty years ago. No body was interested in it then and many people then thought it was a joke of some kind. This animal is from Another dimension. You cannot catch it and you cannot kill it. 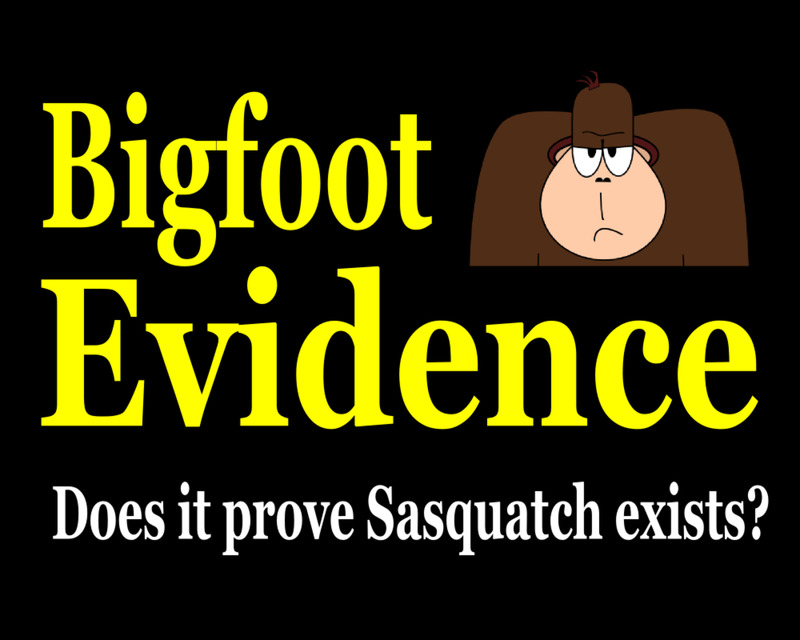 There is absolutely no proof that Bigfoot or Sashquash as the Yankees call it has ever killed or hurt anything. Bigfoot does not sleep nor eat and is immune to the weather. Why it is here is a mystery but I feel that other aliens are trying to get us used to it. No one can catch bigfoot nor kill bigfoot it has been try so many times by so many people and they all have failed. These are men or rather human beings. It's not 1/2 ape or 1/2 human for this would be a genetic impossibility.It is 100% human being just a species not recognized. There are many different variations just as there are many different variations with homo sapiens. The intelligence ratio is much higher than the average homo sapien and I knew that prior to reading some of the posts. You can always tell when someone is totally dishonest when they describe an ape-like creature. Anyone who has been close enough to see knows these are humans though large in statue. The United States government is also very aware of these facts and that's why an elite military group is usually sent in with the FBI being on the scene shortly after.The native Americans are well aware and have considered these people another tribe for many many centuries.Believe what you will but most will recognise the truth when they hear it. This was a awesome paper! I believe that Bigfoot is a North American ape. It truly seems like one. Gigantopithicus. Thought to be extinct. I believe it is some kind of an ape. As far as the Jacobs photo, that's definitely a BEAR, I have game cam photos of bear looks just like that, the animal turns for another pic and it turns out to be a bear, thin young one. Can't vote. Multiple answers to the question. Forest spirit AND alien AND shape shifter? From a different world, traveling through portals, existing at a higher vibration beyond our normal range of sight. Light-beings that can make themselves visible in any form they choose. Visible one moment, gone the next. If you want to start a real adventure into the answers, and have an open mind, research the work done by Dr. Matt Johnson. He's on YouTube and FaceBook. I have news for all of you. "Bigfoot" is a generalization of an unknown creature. 4- 3 to 4 foot ape. They are not fairies, aliens or myths. Flesh and blood beings who have never evolved, disproving evolution. Mark my words, you all will know the truth in your life time. When a person says that they seen a big, hairy man walk across the road. It isn't because they had just seen a bear walking on two feet. Our brains aren't perfect. But I'm pretty sure that our brains function good enough to remember what they just had seen. How many times have you heard a witness say that they just seen Colonel Sanders walking across a forest road? Never? Thought so. i believe sasquatch is a drone..does not eat , leave waste , can maneuver almost any terrain , predators won't bother it..what is it doing?..searching for something ? plant, mineral, maybe surveying.. It's a skin walker.A human who can change its form...Can change into various species..Better known as a witch..Most commonly believed in down south by Indian tribes.."Shape shifter"They are out there..
Hi Sophie: This article was intended as food for thought, and certainly not as any kind of definitive research paper. 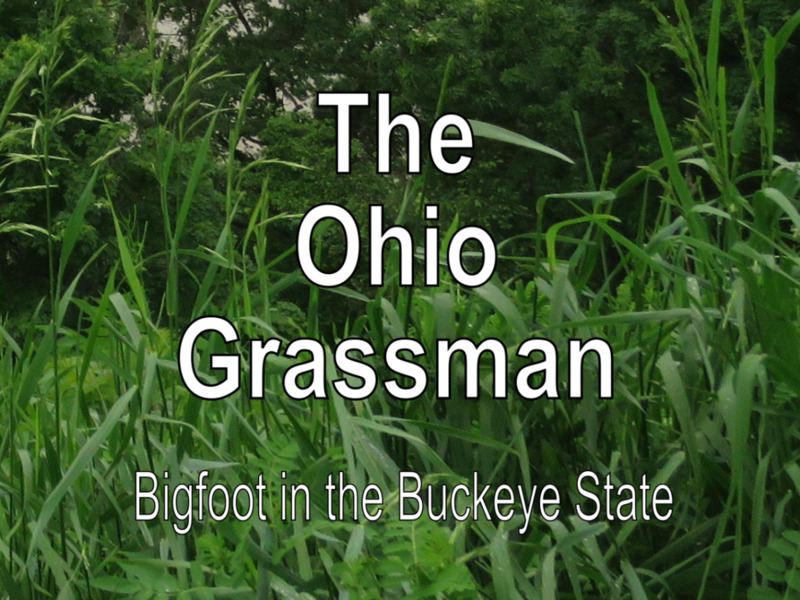 It is based on a wide range of theories put forth by various Bigfoot experts over the years. In some cases, as in the North American Ape Theory, you can look to researchers like Jeff Meldrum as a major proponent of such an idea. Other origins are a bit more obscure, and of course much of my own speculation is thrown in. 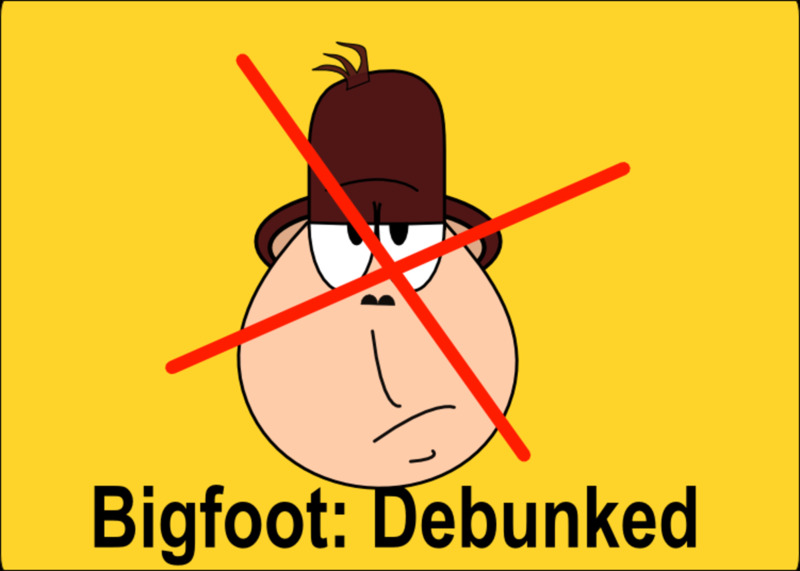 As with anything Bigfoot, I caution your students not to take anything as "fact" but instead look at any theories and ideas with a skeptical and analytical eye. The existence of Bigfoot, of course, has yet to be proven by mainstream science, but many people experience Bigfoot encounters each year. So, we are left with many questions requiring some deep pondering. 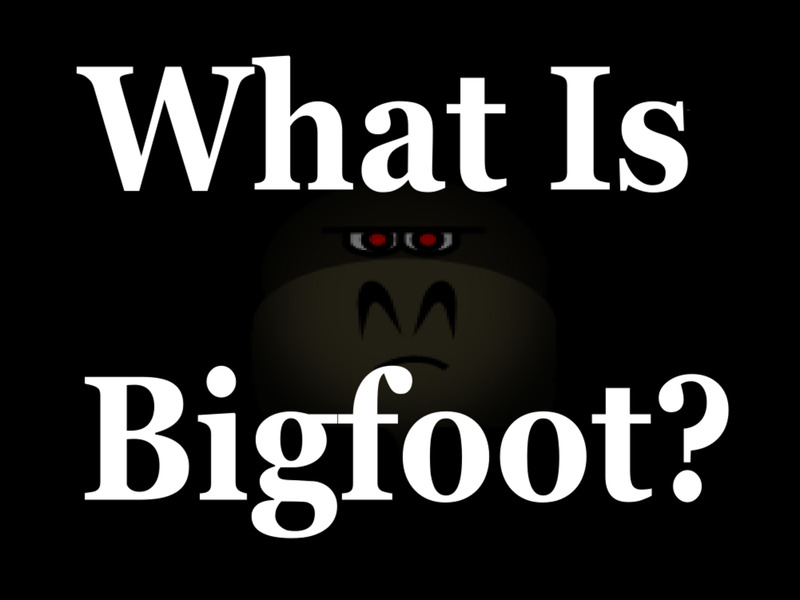 In the case of this article I'm asking people to think about: "If Bigfoot does exist, what is it?" One of my students has read your article whilst researching for a school "history mysteries" project. They are curious to know where you got a lot of your information. Is it possible to provide a list of sources you used for your article? Theory #6. Sasquatch is the now feral descendants of the Biblical Nephilim, or giants, who seem to disappear from history following the Assyrian and Babylonian deportations. Interesting stuff, deboramjama! I'm like you: Open-minded to new possibilities, but I need some evidence! Native Americans also believe that Sasquatch is a shape shifter. So it can change into black animals in the forest. It also likes whistling. But you shouldn't whistle back as it has the ability to possess your body. One of my Native American friends believes she was chased through the forest by one. Muslims believe in a creature that sounds very similar. They believe that there are very ugly creatures who can shape shift and are attracted to whistling. Also like Native Americans, they believe that they prefer to shift into black animals, but are usually unseen. God wrote in the Qur'an that after he banished the Jinn named Shaytan, from heaven, for not serving mankind, and the rest were banished to the forests and deserts. They are forbidden to have contact with mankind. Muslims also believe that the Jinn who disobey God can possess you and God gave a special paragraph of the Quran to be read to exercise them from your body. This is usually done by an Iman (akin to their priests) Mohammad was also sent by God to the Jinn to read to them the Qur'an at night so that they too could enter their own version of heaven or hell. So, per this most avoid mankind in order to enter heaven. The abilities of these creatures as described by both Native Americans and Muslims would account for the allusiveness of the creatures. And at the end of times per the Norse legend, The Bible and The Qur'an the giants of old will return. Who knows? People used to believe that the world was flat, Xray was good for you, and that America didn't exist, so I try to keep an open mind. I'm also scientifically based and need the evidence though. And maybe it's not so much that the giants will return but that we are encroaching upon their forests and deserts by overpopulation. I'm fascinated by new discoveries and I'll withhold judgement until concrete evidence is secured. Thanks zoey. If at least some of the Bigfoot sightings are real I have to agree than an undiscovered ape is a strong candidate to explain Bigfoot. Thanks CR! Yeah, I think bears probably account for a fair number of Bigfoot sightings, and there are all kind of strange sounds in the woods at night. With those shoes, we're kind of at the mercy of the experts (and their producers) to tell us what sounds legit. What a thorough and readable hub! I really enjoyed it. I think it's very possible that a different species of human or undiscovered ape could easily live in the huge expanse of forest up in northern Canada and some parts of the northern USA and not leave much behind in the way of physical evidence. Sometimes though, the Bigfoots on the reality TV shows sound a lot like bears on their hind legs to me. Auditing the discussion about BF is sort of like observing Fantacy Football. That's as good a guess as any, Relationshipc. Your theory does make a lot of sense. Bigfoot sure is sneaky! My theory is that bigfoot lives in another dimension and has the ability to vistit ours. I mean, if the species was constantly in our world, then there would likely be a lot more sightings...and annoyingly even some captures. Obviously this is just my theory. I was watching one show on people tracking bigfoot, and they could see a huge upright creature on their night scanner. They followed it for quite a while and eventually it just dissappeared from their vision (on the scanner). It's not like he would be able to hide under a rock or behind a tree...to me, being able to transport (possibly through a portal) makes much more sense. Thanks NitroD. You're right. With so many Bigfoot sightings, there must be something going on here . . . whatever it is! This was a great read and some excellent theories and possible answers. I am not sure what the truth is, but one has to wonder with a story as prevalent as Bigfoot. A brilliant read and thanks for sharing. I now look forward to many more. Eddy.